A local man is fighting for his life in a Durban hospital following a brutal assault a week ago which was captured on CCTV cameras. 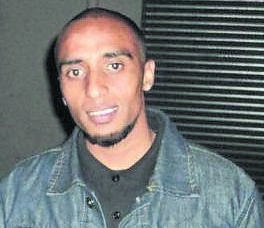 The family of Yashveer Kesari (29), from Allandale, are urging the police to swiftly arrest four people, three men and one woman, who viciously assaulted Yashveer on Sunday, March 24 at a spaza shop in Allandale. The beating followed an incident where Yashveer was allegedly involved in a physical fight with a man who he claimed had almost run him over. In a series of CCTV videos sent to The Witness by his family, four people are seen entering the shop and attacking Yashveer with various weapons until he passes out. In another video showing what happened before the small group assaulted him, Yashveer, who is a local gym instructor, is seen rolling on the ground and snatching a baton from a young man and chasing him with it before they part company and he enters the spaza shop. The man he was fighting with then uses his cellphone. Yashveer’s elder sister, Uresha, said Yashveer had retaliated after a man in a white bakkie almost ran him over while he was walking towards the shop. “Yashveer asked the man why he almost ran him over and a small fight broke out. “My brother snatched a baseball bat from this guy and chased him with it. He then left him and went inside the shop. “About two minutes later when my brother was still inside the shop buying cigarettes the guy came back with two other men and one woman. “They all started attacking him with bush knives, baseball bats and other weapons. They beat him up until he passed out and even after he was out, they continued to beat him. “They went out of the shop and came back in a few seconds later to beat him up again. “He suffered a very serious head injury and other body injuries,” she said. Uresha said Yashveer was rushed to Grey’s Hospital where he was treated and discharged. She said they took him back to hospital on Monday, and despite several health practitioners insisting that he was fine, asked that Yashveer be admitted and undergo tests. A CT scan (computed tomography scan) revealed that he was bleeding in the brain. “He had to be rushed to a Durban hospital on Friday morning where he underwent urgent head surgery. We were told that had there been a few hours’ delay, he would have died,” said Uresha. She said the family are still very “distraught” as Yashveer’s condition remains critical. “It’s still touch and go but we are hopeful that he will be okay since he has had brain surgery. “We just wish that the people who attacked him would be arrested as the police now know who they are,” she said. Uresha said they suspect that her brother’s assailants had allies within the local police station as the perpetrators had still not been arrested. “We as the family are now scared that these people might come after us or for my brother. “We just want justice for Yashveer. He could’ve died, his brain might be permanently damaged so it’s only fair that we get justice for this,” she said. By yesterday afternoon, The Witness had not received a response from either Mountain Rise police station or the provincial police media centre.